Fun thread! I always liked singer/songwirters like Fogelberg and Lightfoot though Boston, REO Speedwagon and Bob Seger were the 8 tracks of choice on the weekend cruise around town in the mid 70's. Good album cover Greg, I have always liked Meatloaf's "Bat out of Hell". Although I'm not much of a Beatles fan their Sgt. Pepper cover was very interesting. I do have an affinity for Maxwell's Silver Hammer though. 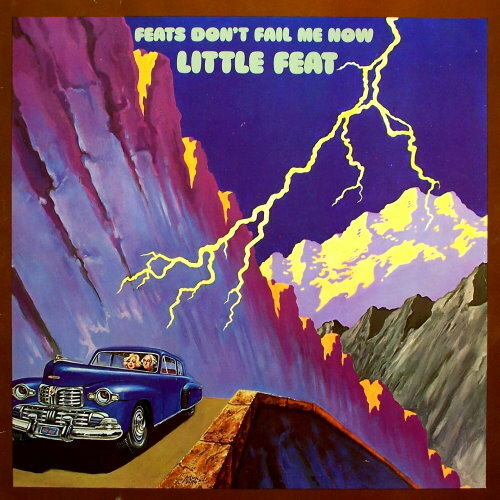 One of my favorite album covers is from the Little Feat album, Feats Don't Fail Me Now. That's George Washington driving a Lincoln with Marilyn Monroe riding shotgun. Actually, every song on that album is a favorite. There is no way this thread can stop only after 5 pages. Dave, Sgt. Pepper's is also one of my favorite album covers. Rick, Ive never seen that Little Feat cover before. Okay here are a few more Favs from me. This has a very funny video. The Proclaimers "I'm on my way"
Greg, I was just taking a break and actually doing some modeling. 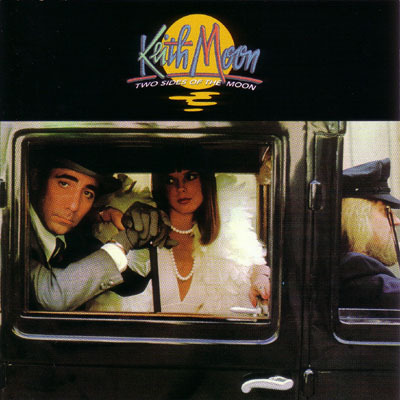 Keith Moon did one solo album called Two Sides of the Moon. His album cover reflects his crazed sense of humor. The cover had a cut out which allowed you to see the album sleeve inside. Put the sleeve in one way gives you this shot of Keith and his girlfriend Annette, both looking very sophisticated. Take the sleeve out and flip it over and you'll see the other side of the Moon. Here's a number from that album. Now you know why there was only one Keith Moon album. Andy...in the mug shot, Derek's also the much better looking guy of the two! One of my all time favourite double albums was "Hot Rocks" by The Rolling Stones. John, Jeff Waynes musical "War of the Worlds" album cover is a cool one indeed. I had a 12" single of the song "Thunder Child" from that album it was on gold & black vinyl. I once had over 2000 albums, and sold them all off about 15 years ago. Strangely one of my daughters just loves vinyl albums now, and wishes that I had not sold them all. Does anyone else still have their album collection? Last count was about 750, plus or minus a few. Still converting them to CD and to .aac files for iTunes. and then again I was listening to the newest CD from Skunk Anansie. But, then when I'm working away writing & reviewing manuscripts, it's Tangerine Dream and Brian Eno and lots of electronic music.